Meet of the most cost-effective, energy efficient and loved cars out on the road today – the 2018 Toyota Corolla. With four fuel-efficient options, the Corolla is one of the best city driving vehicles when it comes to making your fuel go the extra mile. 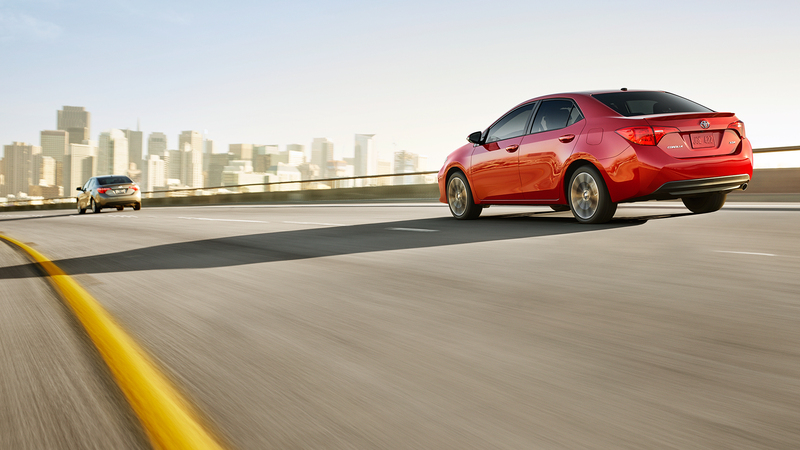 Known for its reliability, sleek design and attention to detail, the Corolla stands out for city driving vehicles. The Corolla offers an incredibly fuel efficient 1.8L four-cylinder engine that produces 132 horsepower at 6000 rpm without breaking a sweat. Achieving an ever impressive 8.6 L/100 KM fuel use rating in the city and 6.5 L/100 KM on the highway, this spacious vehicle will keep your engine going longer than the competition. The Corolla LE ECO includes Valvematic technology that utilizes valve control to manage air intake to optimize responsiveness and efficiency to give it an edge when compared to competitors. Toyota engineers have newly updated suspension technology in the Corolla to reduce vibration and increase the overall smoothness of the ride and compact torsion beam system has been included to enable faster steering responsiveness. If you opt for the Corolla S, a higher spring rate allows for a sportier ride. 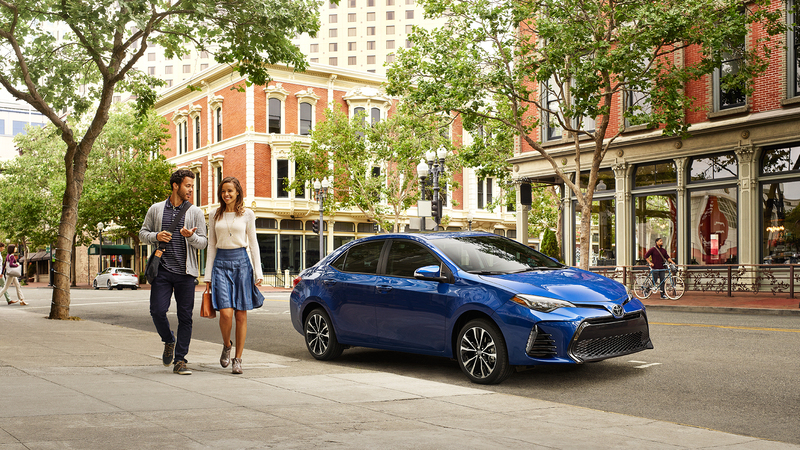 The 2018 Corolla takes peace of mind to a new level with standard Toyota Safety Sense P. Combining an array of advanced vehicle safety systems, including Pre-Collision System, Lane Departure Alert, Automatic High Beam, and Dynamic Radar Cruise Control, TSS supports your awareness, decision-making and vehicle operation. Additionally, Toyota’s Star Safety System features six state-of-the-art accident avoidance technologies: Anti-lock Brake System (ABS) with Brake Assist (BA), Electronic Brake Force Distribution (EBD), Vehicle Stability Control (VSC), Traction Control (TRAC), and Smart Stop Technology (SST). With an athletic look and wheels positioned toward the corners, the Corolla is a sleek and elegant vehicle. With standard LED headlamps in a stylish lamp design to produce a light pattern that closely resembles sunlight, the Corolla offers exceptional nighttime visibility. To keep you connected with the world around you, an available Moon roof lets the sunlight pour in or grant your passengers an expressive view of the sky above. Featuring a low and wide stance with a sporty look, the designers refined the Corolla to become as aerodynamic as possible, reducing wind resistance in the front and achieving a drag coefficient of 0.28. 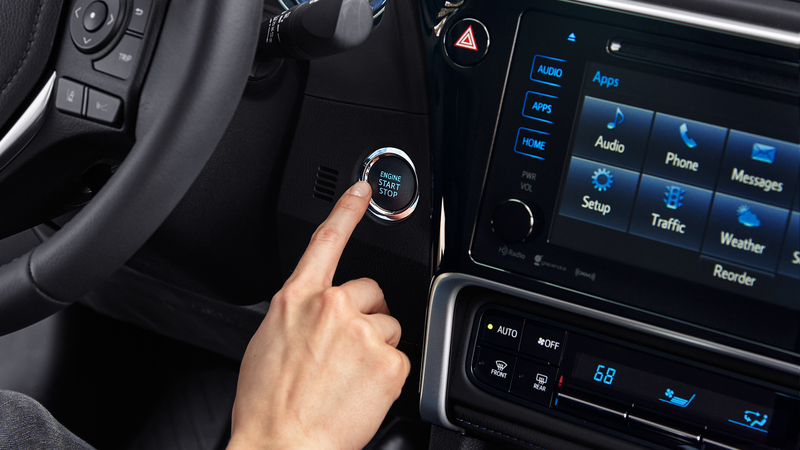 With a 6.1” touchscreen display with 6 speakers, a backup camera and a suite of other fantastic features, the new Corolla is loaded with entertainment to keep your passengers occupied for longer drives and easy control from the drivers seat that don’t distract from the drive. With available navigation, Bluetooth phone and audio, integrated XM Satellite Radio and text to voice features, everything is accessible through your steering wheel at a touch of a button or simply by talking to your car. Slimmed down front seats has the back has opened up to allow for more leg room and overall more space for comfort. 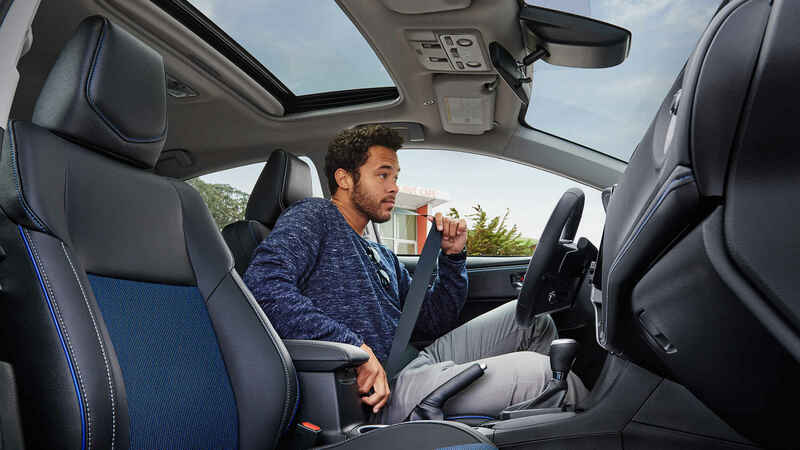 Coupled with an ergonomic hip point and high density foam in the seat cushions, the Corolla is poised for comfort and long drives with your favorite group of people. At Sherwood Park Toyota, nothing gets us as excited about the 2018 Toyota Corolla than getting behind the wheel of one with one of our excited customers or fellow Toyota enthusiasts. 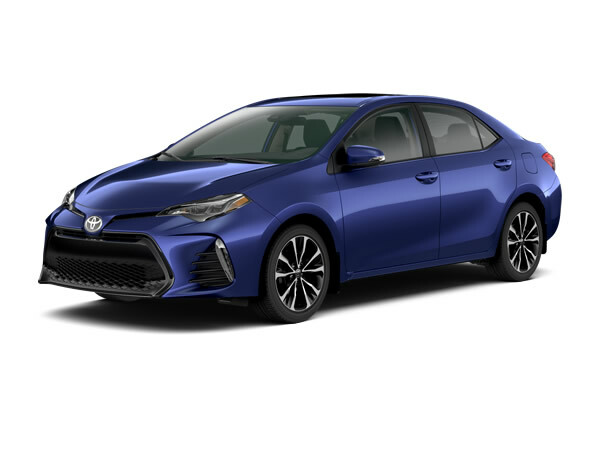 The Corolla is a great long term investment with its durability and fuel efficiency and we are happy to give you the tour of everything Corolla at our showroom. Visit us at 31 Automall Rd, Sherwood Park, AB T8H 0C7 or give our expert Sales Staff a call at (780) 410-2455 to book a test drive today.